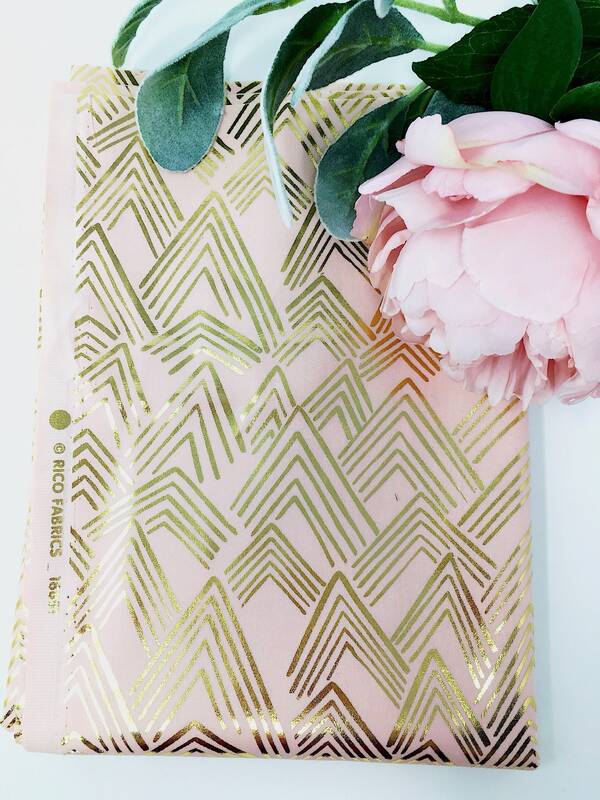 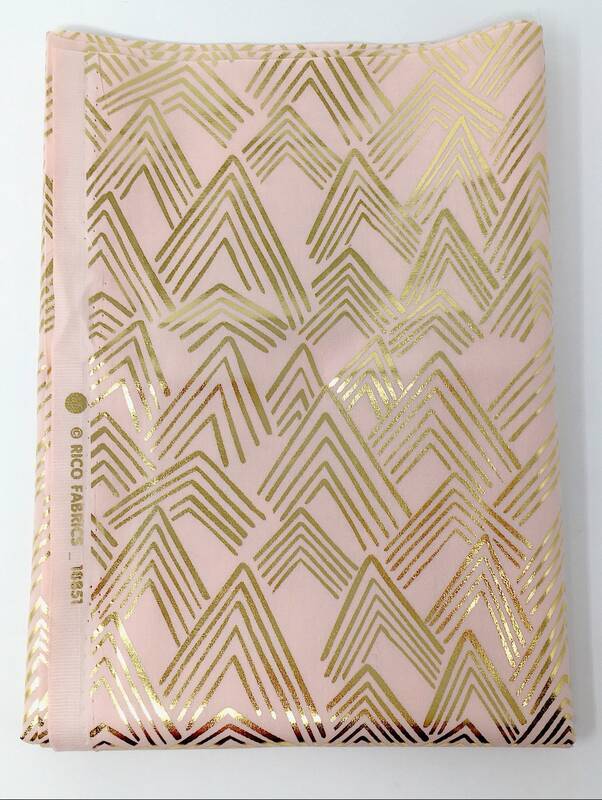 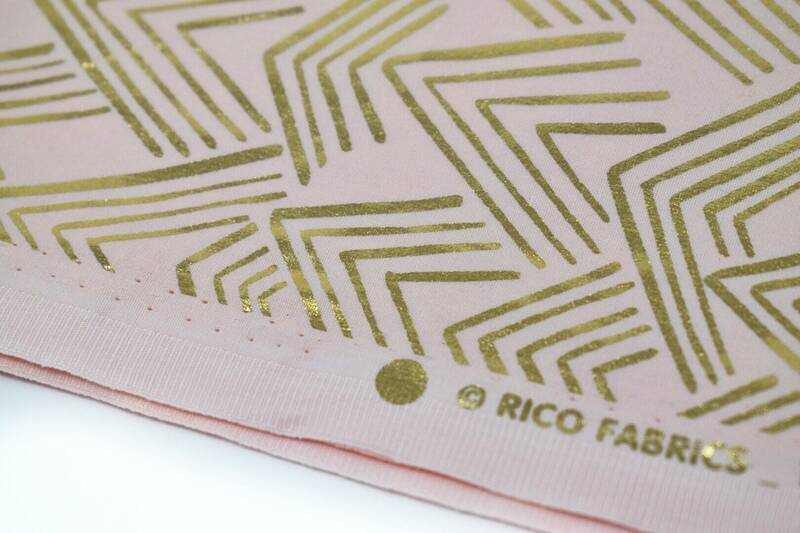 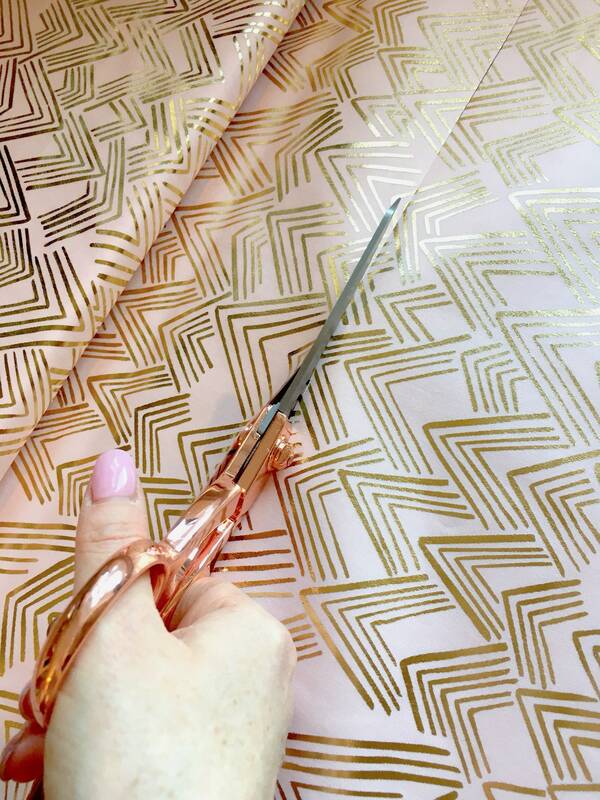 Stunning Rico design blush pink printed cotton with gorgeous gold foil mountain design from the new Alpaca collection. 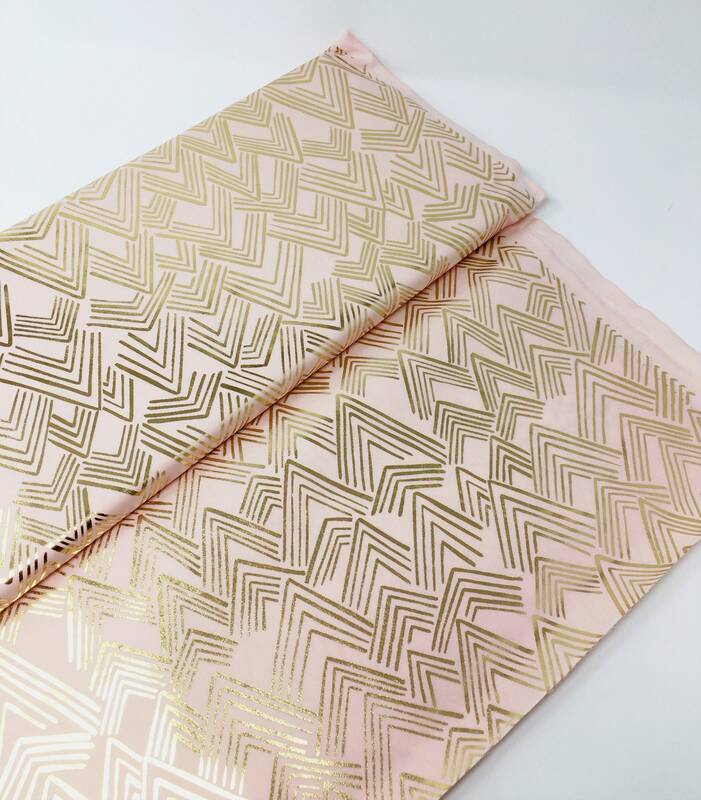 This beautiful blush pink woven 100% cotton is perfect for home decor projects like cushions and throws. 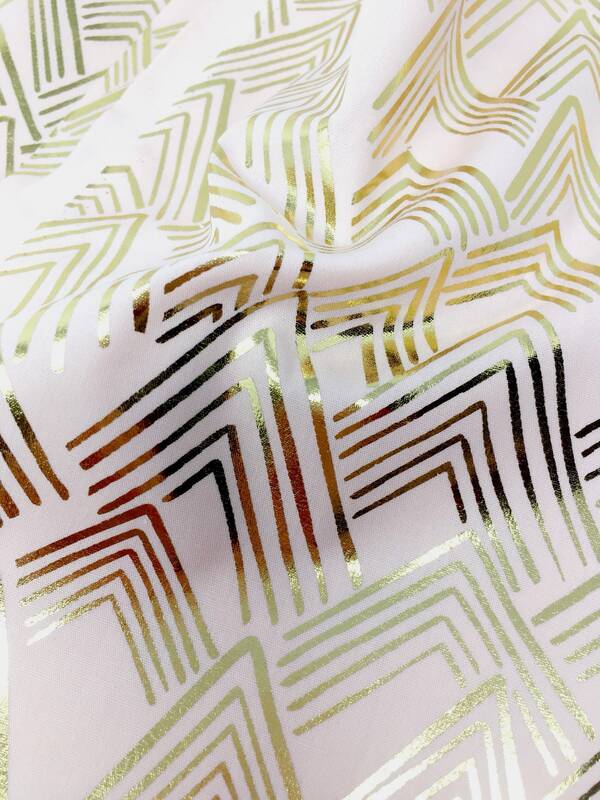 It would also be lovely for fashion projects like childrenswear. 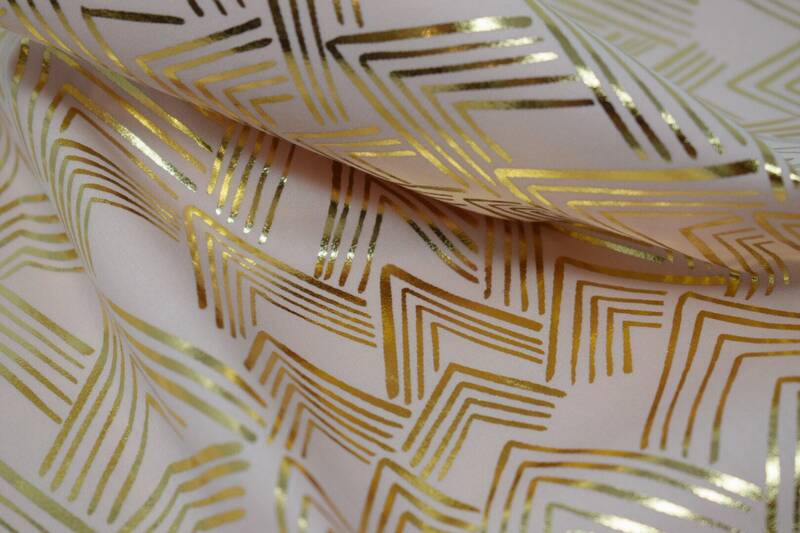 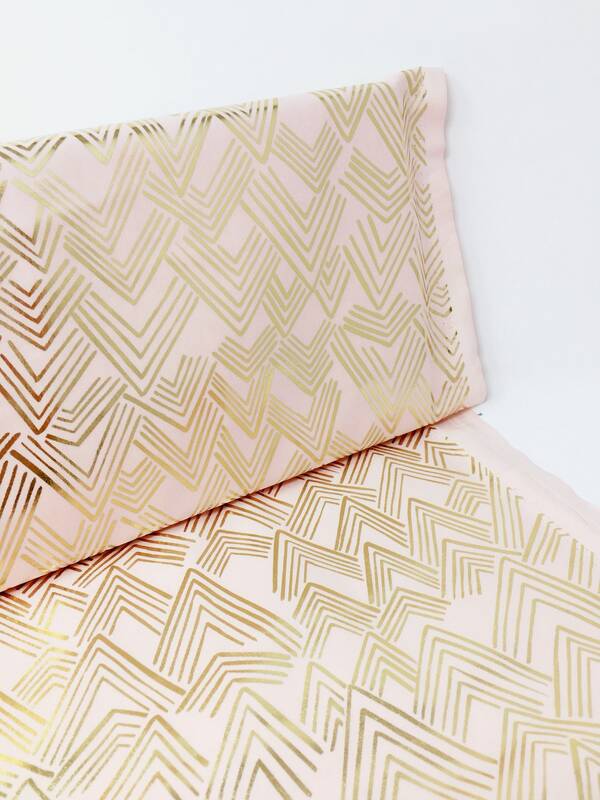 The fabric is printed with striking metallic gold foil and features a striking moutain range design with a modern geo twist. 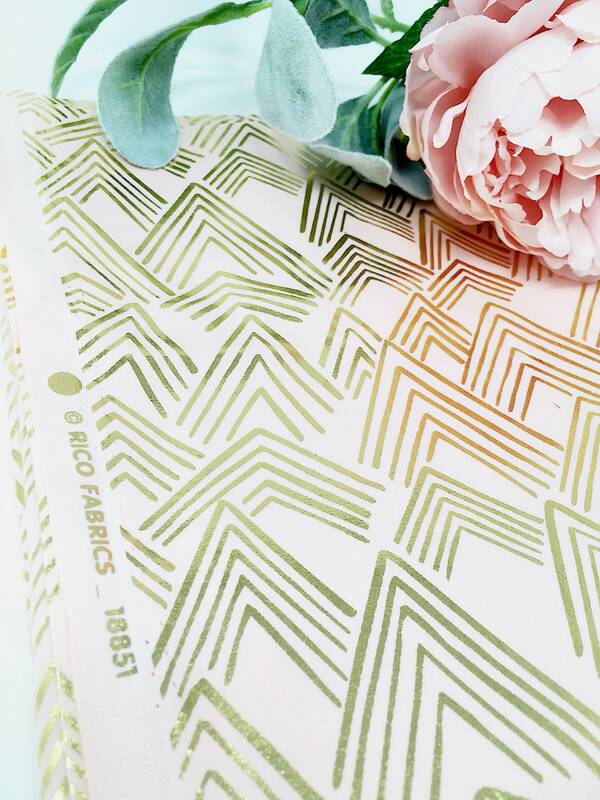 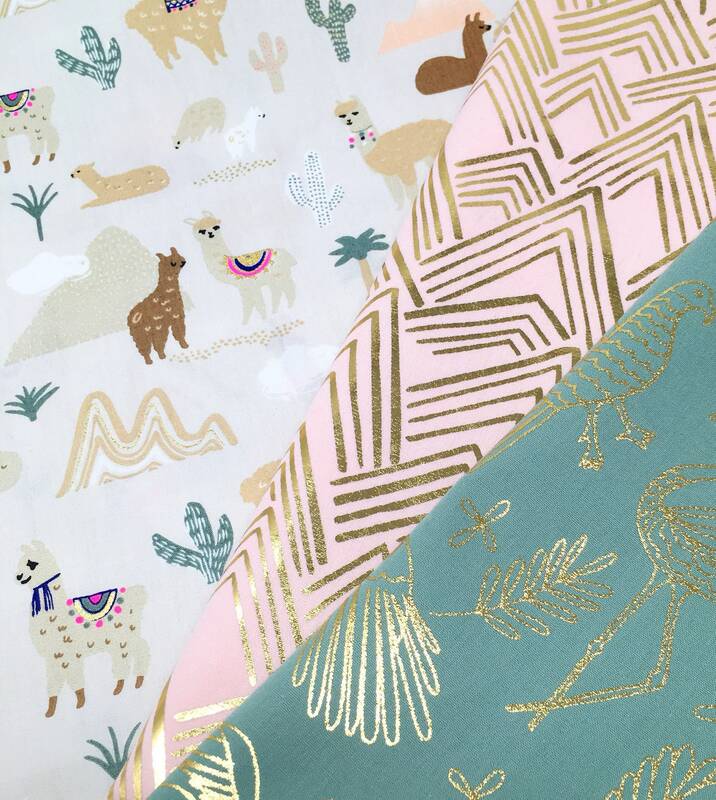 There is a matching alpaca printed cotton with neon pink and gold foil accents and a matching sage green and gold foil bird print cotton available in this Rico Design Alpaca collection.